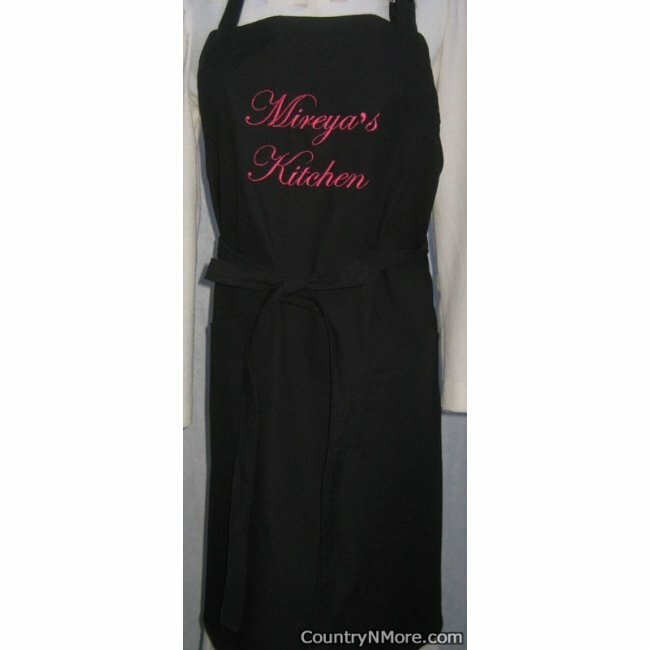 This custom embroidered bbq apron is popping in color, with the gorgeous hot pink embroidery thread. 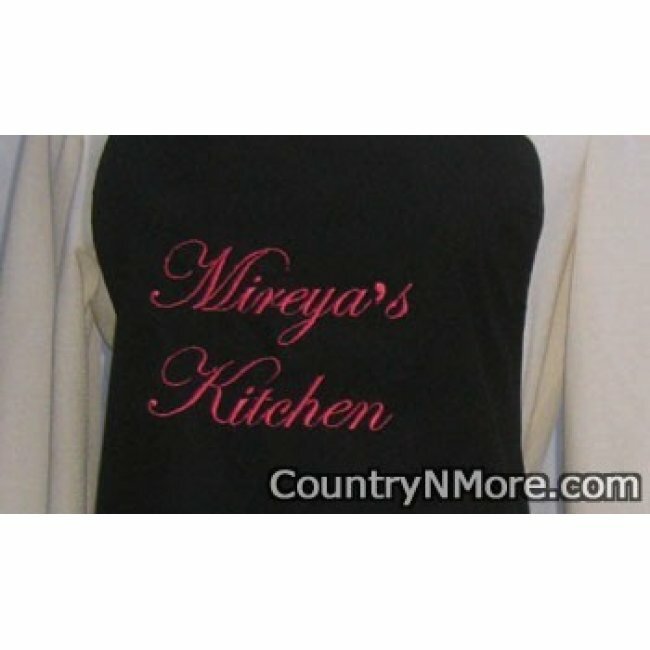 We used a gorgeous elegant font to create Mireya's Kitchen on a high quality black polyester/cotton fabric. The ties are approx. 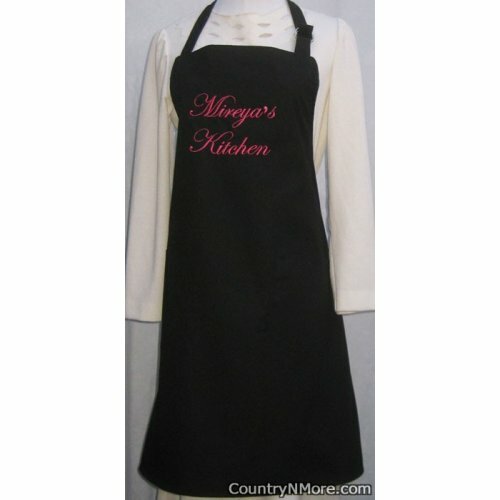 44 inches long, allowing it to be tied in the front. 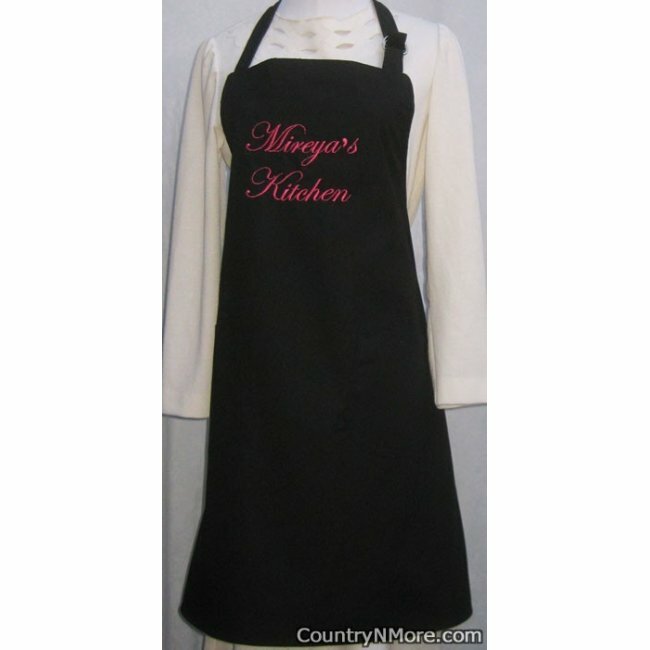 Customers like that they can use the ties to hold their towel.